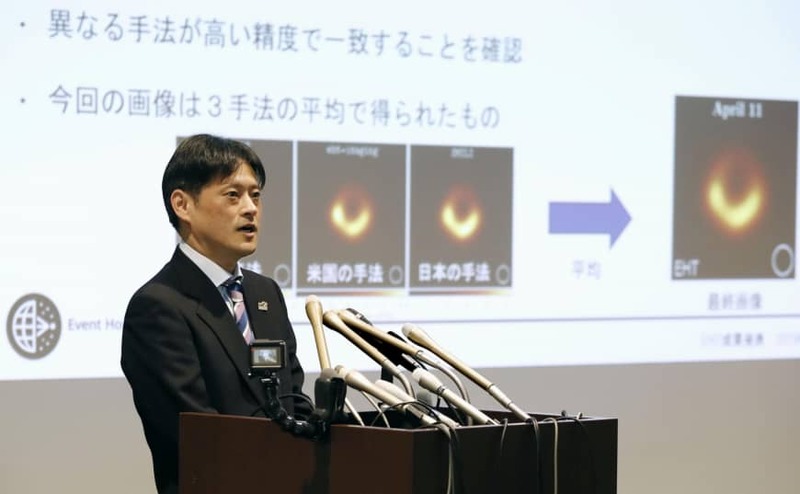 Japanese researchers made a significant contribution to an international team that enabled humanity to take its first look at a black hole. The researchers helped visualize data collected by a network of radio telescopes scattered around the world, which effectively worked as a giant, Earth-sized telescope, and they were also a part of the team managing one of the telescopes. The picture of the supermassive black hole in a galaxy called Messier 87, revealed Wednesday by a team led by Sheperd Doeleman of Harvard University, eliminated any doubts about the existence of black holes and reinforced theories founded on their existence. “It visually captured what had been said to exist but never been seen by anyone. 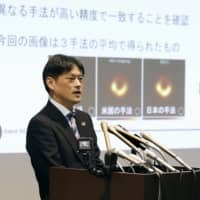 This is undoubtedly worthy of a Nobel Prize,” said Yoshiaki Taniguchi, a professor of galactic astronomy at the Open University of Japan, shortly after the announcement. While a radio telescope with a larger dish antenna can collect more data and depict a more accurate picture of a black hole, there is a limit to how big the dish can be. The international team created a network of eight radio telescopes across the world, using a method known as very-long-baseline interferometry, to overcome that limitation. But as some radio waves are beyond the reach of the network, the team used statistics to estimate the missing data. 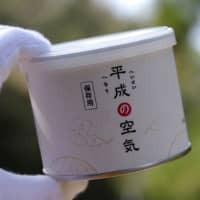 Mareki Homma from the National Astronomical Observatory of Japan and other Japanese researchers used what is known as sparse modeling to develop a data processing method for putting together images. 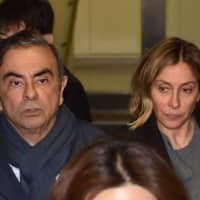 Kotaro Moriyama, a researcher with the Massachusetts Institute of Technology, said the Japanese team made sure of the credibility of the data they obtained by generating images in 60,000 different ways. 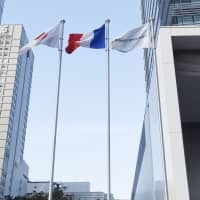 Japan also contributed as a member of an operation team of ALMA, a giant telescope in Chile, which is one of the eight telescopes taking part in the network. Combining some 40 antennas with a diameter of 12 meters each, the researchers in Chile effectively created a large radio telescope with a diameter of 70 meters. As the telescope is located in a desert at an altitude of 5,000 meters, where low atmospheric pressure prevents the operation team from using hard discs to read out data, the National Astronomical Observatory of Japan also provided technologies necessary for sending data to a facility at a lower altitude using light fiber cables.